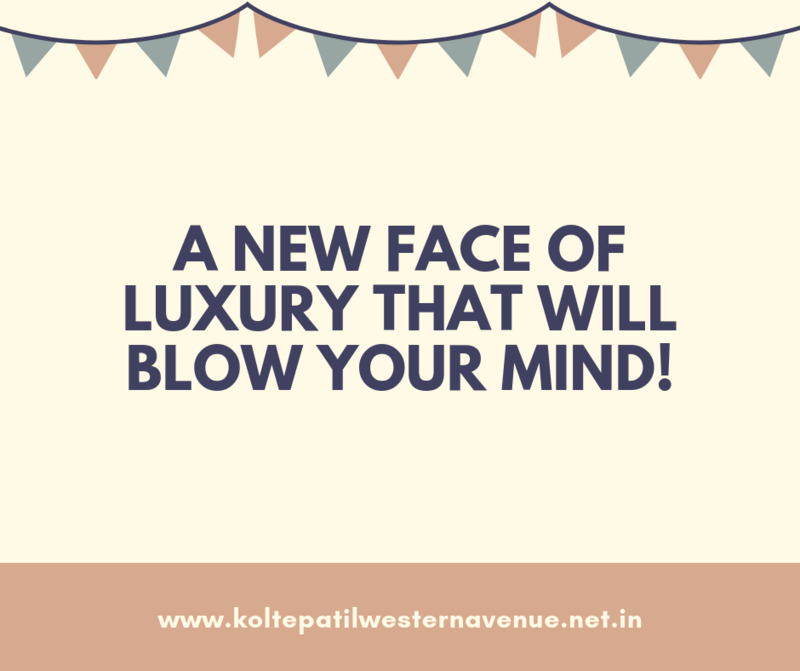 Kolte Patil Western Avenue:Experience a world of premium luxury, comfort and world class features that will delight you! Pune is a beautiful city that everyone seems to be talking about today. Being one of the lowest air polluted cities and one of the highest education hubs in the country, Pune offers a life of peace and happiness to all who enter. 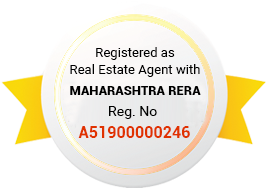 The real estate sector in Pune has risen to a great level today and has a lot to offer in terms of residential and commercial projects. 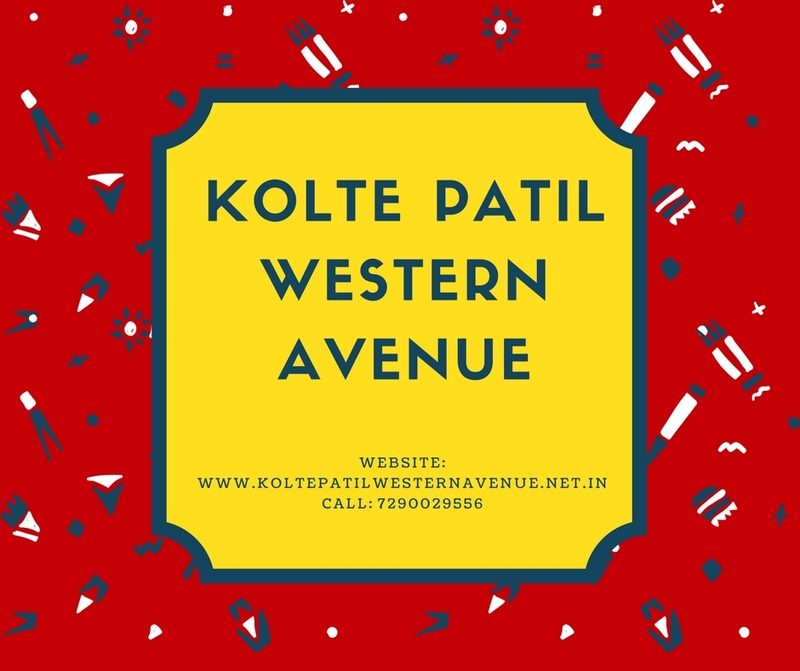 Kolte Patil Western Avenue is a new residential project in Pune by Kolte Patil Developers Ltd. that offers an outstanding lifestyle that you will be proud to live. Spread across16 acres of land, this development contains magnificent structures that offer 2BHK and 3BHK luxury patio apartments of different configurations that are simply superb. The patio apartment carpet area sizes start at 738 sq. ft. and go up to 1050 sq. ft., providing ample space for all your needs and necessities. This development also contains commercial spaces. This residential development is packed with premium luxury and comfort, both inside and outside as well. The apartments are spacious and contain lavish fixtures and fittings, high-quality vitrified flooring, laminated doors and aluminium windows, gorgeous kitchens with dado tiles, granite counters and gas leakage detector, electrical ports located perfectly with modular switches, OBD paint on internal walls, video door phone and the list goes on. Kolte Patil Western Avenue Pune offers world-class external amenities that will rejuvenate you and keep you happy each day. The external amenities include a grand clubhouse for recreation, well-equipped gymnasium, swimming pool, jogging track, meditation centre, multiple indoor/outdoor sports facilities and a play-area for your kids, dedicated area for senior citizens, party lawn, acupressure path, multipurpose hall, waiting lounge, amphitheatre, high street shopping plaza, 60,000 sq. ft. central patio, landscape garden, wide open space, swift elevators and high-end security. Without a doubt, this development starts and ends with luxury and nothing short of it! 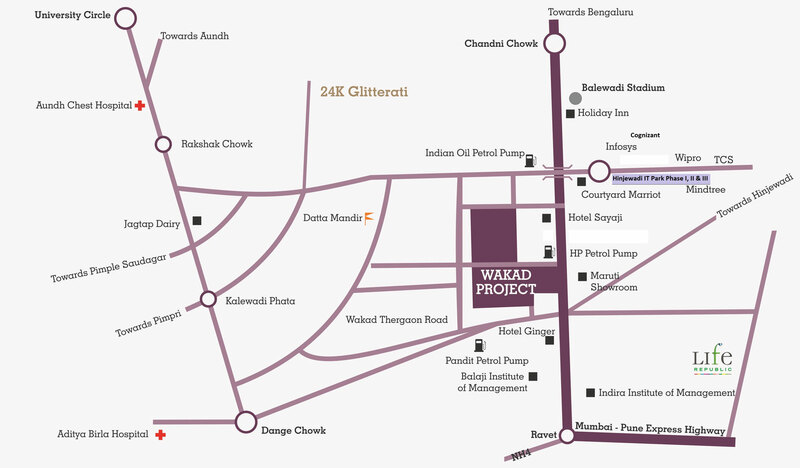 Located at Wakad in Pune, this development comes in close proximity to a number of places like schools, institutes, medical centres, hospitals, banks, ATMs, cafes, restaurants, malls, shopping centres, general stores, supermarkets, cinemas, all kinds of public transport and more. No place is too hard to find when residing at this residential development. The Kolte Patil Western Avenue priceis exclusive and definitely worth your savings for a new luxury apartment. With supreme features and impressive luxury, there is nowhere else you would want to be! There are several payment options that you can choose from according to your convenience, easy home loans at low interest rates, NRI services and more for a purchase that is as smooth as butter.